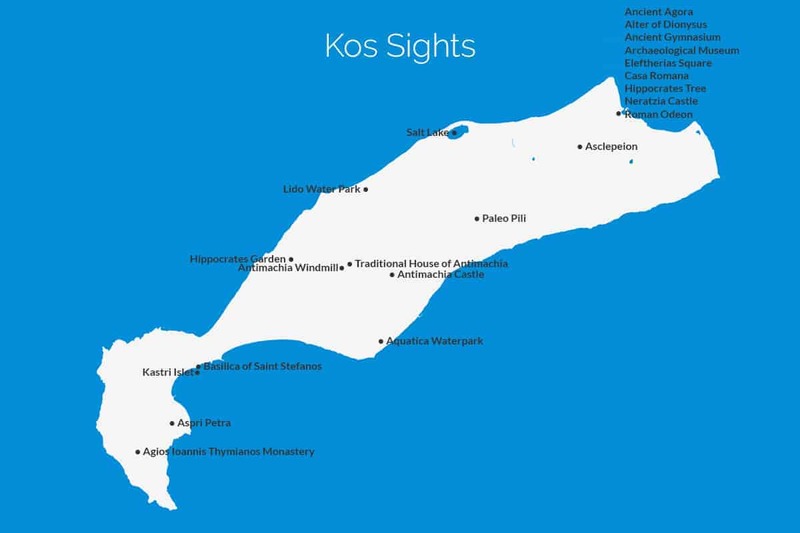 Kos has a number of good places to go and things to see, from the ancient Asclepion to the Lido water park you wont be short of activities to keep you busy. The list of sight seeing attractions below can be filtered to find things that suit your style and the map above should help you to decide if it’s worth the trip from where you’re staying. The Asclepeion is a place of healing that dates back over 2000 years. It’s found just inland from the capital Kos Town.